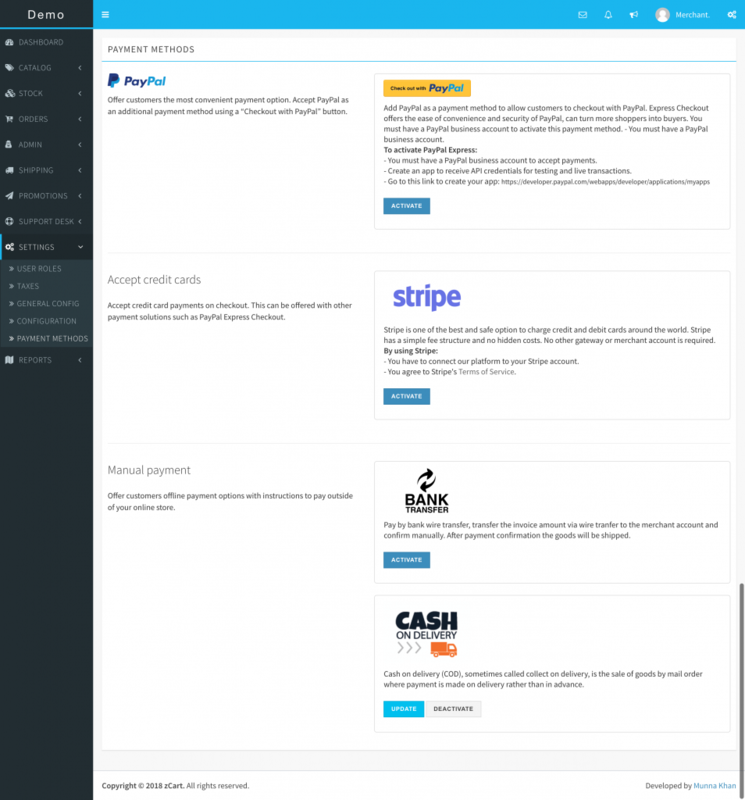 Payment method is one of the most important configurations before go live. You must activate at least one payment method to accept payment from customers. You will find instructions on how to activate the payment method on the configuration page. Warning! If you don’t have any active payment method, your listing will not visible to customers. Info! You may not see all the options available here due to marketplace configuration.